In our constant search for growth investment opportunities, sometimes it makes sense to look outside our borders. The U.S. economy is still growing, but not at the same pace as emerging markets. Learn more about these markets in our FREE Special Report, Why You Should Invest in Emerging Markets—and Other World Stock Markets. Investing in these markets really began to heat up after the turn of the 21st century, when most of the attention was focused on the so-called BRIC countries, which are Brazil, Russia, India and China. Those four countries combined enormous populations with stable governments and national economies on the verge of major expansion. Out of that group, China has certainly delivered on its promise. China enjoyed more than a decade of double-digit economic growth based on cheap labor and massive exports, and its massive population of industrious people, directed by its powerful central government, has created a booming middle class eager to achieve the prosperity of developed nations. China’s growth has undoubtedly slowed, but it remains one of the fastest-growing economies in the world. The other BRIC countries have each had their problems. Brazil’s economy is vulnerable to inflation any time economic growth revs up. Russia has squandered its potential with expansionist policies aimed at rebuilding at least a part of the old Soviet territory. And India has suffered from a political system that is chronically susceptible to gridlock. Of these three countries, India appears to have the highest potential for the kind of growth-from-a-low base that powers big stock returns. The young administration of Narendra Modi, a leader with decidedly pro-business views and a working majority in both houses of India’s parliament, is beginning the process of infrastructure improvements that have proven successful at stimulating growth in other countries. And we’re seeing the beginning of a loosening of stifling government controls that hamper entrepreneurism. We’re also watching other countries for signs that growth is taking hold, including South Korea, Mexico, Indonesia, Turkey, Saudi Arabia and South Africa. It’s an exciting time to be an emerging markets investor! The advantage of investing in these markets is that it allows you to invest in countries with double-digit GDP growth—or close to it. At a time when America’s economy is expanding in the low single digits, Japan’s economy is struggling and much of Europe is still buried under a mountain of sovereign debt, these markets hold more appeal than ever. The potential rewards of this kind of investing have rarely been more enticing. But with those potential rewards comes a considerable amount of risk. Investing in any kind of growth stocks has inherent risk. When you invest in an emerging market, which is essentially a euphemism for “underdeveloped” market, you take on even greater risk. There are a lot more unknowns when investing in a country that is still developing. And the less you know about a company, the more risk you take on when you invest in it. One way to curb that risk is to invest in American Depository Receipts (ADRs) traded on U.S. exchanges, which requires the stocks to meet strict U.S. requirements. For some, emerging markets investing is simply too risky. But for many, the potential for massive rewards is worth the extra risk. If you’re part of the latter group, then you should consider subscribing to our Cabot Emerging Markets Investor advisory. 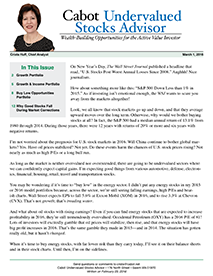 In this advisory, analyst Paul Goodwin looks for promising companies benefiting from the rapid growth of emerging market economies. Many of the companies Paul examines are headquartered in emerging markets, though some are American or European companies that derive a large part of their growth from sales in these markets. All of Paul’s emerging-market recommendations trade on a U.S. exchange. To help reduce the risk that comes with emerging markets investing, Paul focuses solely on companies with healthy balance sheets, solid growth and whose stocks are in the midst of a strong uptrend. Also, in the event a loss develops, it is limited to no more than 20% at the close of any trading day. Many emerging market countries are experiencing growth that will persist for years to come. Emerging markets investing is a way to profit from that trend. 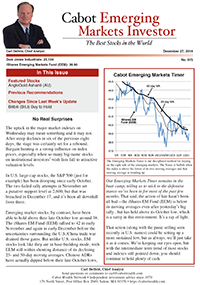 Cabot Emerging Markets Investor attempts to deliver you those huge profits while minimizing risk. 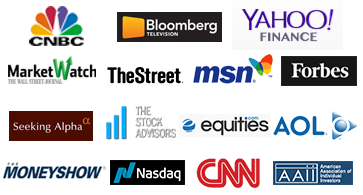 Here at Cabot Investing Advice, our primary focus is stocks. But exchange-traded funds—more commonly known by their abbreviation, ETFs—can also be an efficient, profitable place to invest your money. It’s an investment fund that trades on a public stock exchange just like a stock. ETFs hold dozens and even hundreds of stocks, commodities or bonds, so you get the safety of diversification. In that way, they're like mutual funds. Because they are "unmanaged," however—you might say they run on autopilot—ETFs entail lower annual fees than comparable index-based mutual funds, and far lower fees than actively managed mutual funds. And unlike mutual funds, which are priced once a day after the market closes, ETFs are traded throughout the day just like regular stocks, so you can buy or sell them whenever you want, and when you buy, you get exactly the price quoted when you buy. Now, of the more than 1,400 ETFs available, many are designed to mimic the performance of major indexes. You can buy indexes that duplicate the performance of the S&P 500 and the Dow Industrials. You can also buy indexes that mimic lesser-known indexes like the S&P Emerging Markets Small Cap Index and the Dow Jones Small Cap Value Index. Those are fine for investors who are content to just do as well as the averages. But if you want to beat the averages, you've got to specialize. And for that, you need sector ETFs, which allow you to invest precisely in the economic sectors you think are most likely to bring the biggest gains. We recommend ETFs when we feel more strongly about the sector than we do about any individual stock, or when we feel there is too much risk in any one stock, yet we still want to participate in the sector. We also might buy an ETF if we were very confident about a bull or bear market move and wanted to leverage the move by using an ETF that aimed for double the market’s move. Our resident growth stock expert, Mike Cintolo, will occasionally invest in a major index—say, the S&P 500, by buying the SPDR S&P 500 ETF (SPY)—when he thinks it’s about to start a major upmove. There are some instances when investing in ETFs makes sense—whether it’s gaining maximum exposure to a red-hot sector, gaining access to an entire country’s stock market, or simply taking advantage of a bull market. In general, we don’t recommend buying and holding them the way you would a stock with long-term growth potential. But there’s money to made in ETFs if you time it right. Growth stocks are the glamour investments on Wall Street. They are the reason all those talking heads on CNBC have jobs and what makes Jim Cramer ramble on as if he’s just chugged five Red Bulls. (Maybe he has.) Growth stocks often outpace the market, and the best ones can earn triple-digit returns in a short amount of time. So it’s not surprising that they generate so much excitement and endless chatter. 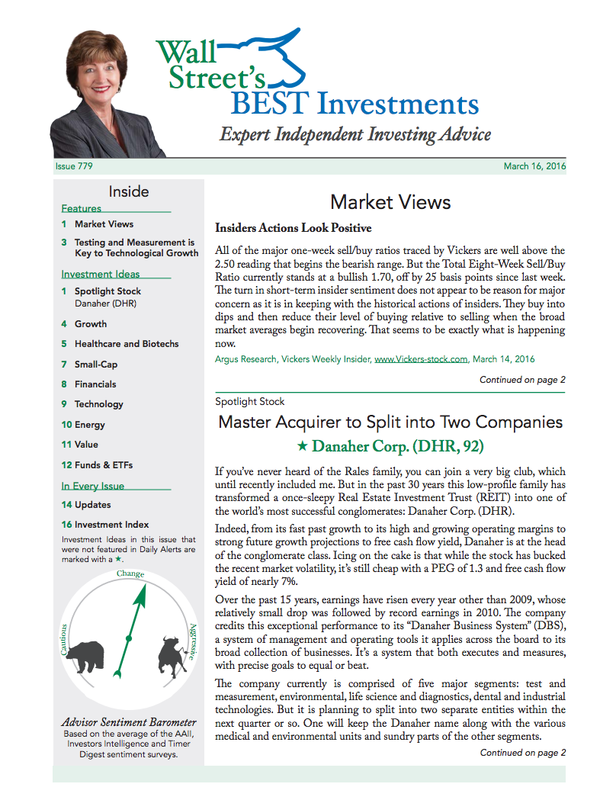 Get everything you need to know about investing in growth stocks in our FREE Special Report, 10 Forever Stocks to Buy Now—and How to Find High-Return Investments. Download it now! Of course, there’s a caveat to investing in these stocks. Unlike time-tested dividend stocks or bargain-basement value plays, these stocks carry plenty of risk. The companies are less mature, have smaller margins, and typically don’t pay a dividend. Thus, the stocks can be very volatile, especially around earnings season. For many investors, however, the risks of investing in these stocks are worth the potential rewards. Apple (AAPL), Amazon.com (AMZN), Netflix (NFLX) – all of them started off as growth stocks before they became some of the best-performing and most coveted stocks on the market. Those who got in early earned triple-digit, even quadruple-digit, returns. Invest in fast-growing companies. It’s a rather obvious prerequisite. But it’s important to know what fast-growing means. It means investing in fast-growing industries, where revolutionary ideas and services are being created. 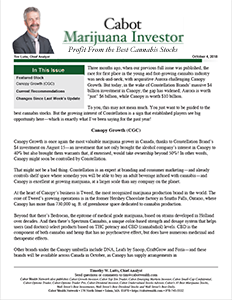 Any little-known stock that provides a product that is essential to that budding industry makes for a good growth stock. Buy stocks that are outperforming the market. Companies can promise all kinds of financial growth. But is that growth potential translating to a rising share price? The best investing tips come from the performance of the stocks themselves. Use stock market timing. Never underestimate the power of the market to move stocks. You don’t want to invest in a growth stock just as the market is plummeting. If you’re in a bull market, you can afford to be aggressive in buying stocks that are more speculative. Be patient. Not every growth stock will make you rich overnight. Very few will, in fact. Even Apple took years before it morphed into the biggest technology behemoth in the world. In the investment world, time is your friend. 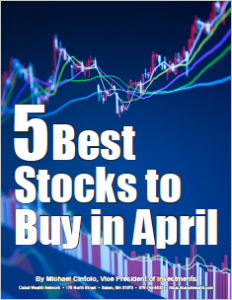 If you get out of a stock too early, you may miss out on some big gains months down the road. Growth stocks were the basis upon which Cabot Investing Advice was founded in 1970. Our founder, Carlton Lutts Jr., gave up a career in engineering to pursue his passion for stock selection and market timing. Nearly half a century later, we’re much more than a growth investing advisory. 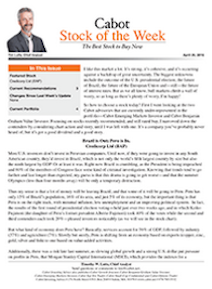 But growth stocks – and helping individual investors earn big profits from them – are still at the heart of what we do via our flagship newsletter, Cabot Growth Investor. Investing in these stocks can be tricky. Finding a hidden gem that has yet to be fully discovered by the market is simultaneously exciting and frustrating. 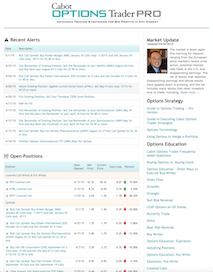 Look for up-trending earnings growth, improving profit margins, and booming industries. If done right, investing in growth stocks can be both highly satisfying and highly profitable. And if all else fails … we’re here to help! Most people want to invest. Only one thing stops them from doing it: they don’t know how to invest. Before you learn how to invest, there are a few basics to understand—first and foremost, what a stock is. A stock is an equity investment that represents part ownership in a company. When you invest in a stock, you own a share (or shares) of that company. The most common way to buy a stock is through a brokerage firm. Thanks to the internet, using a brokerage firm to invest is easier—and more affordable—than ever. There are a variety of popular online discount brokerage firms—TD Ameritrade, E*Trade, Fidelity, Charles Schwab—and none of them charge more than $10 every time you make a trade. Now, if you’re just getting started, you can choose to invest in just one or two stocks; that’s all some people can afford, and that’s fine. But for those who can afford it, an ideal portfolio consists of about 10-20 stocks from a variety of industries (technology, banks, housing, retail, energy, etc.). It also makes sense to invest in different types of stocks—growth stocks, value stocks, dividend-paying stocks, emerging markets stocks. However you spread out your investments, the goal is to put together a portfolio that’s diversified enough that you aren’t overly susceptible to a collapse in any one industry. For instance, if you have all housing stocks and the real estate market suddenly collapses like it did during the subprime mortgage crisis … you could lose all the money you’ve invested very quickly. Recognize that perfection in investing is impossible. Not all your investments will be winners. Losses are a normal part of the business. Your goal is to ensure that your profits outweigh your losses, and the best way to do that is to have an investing discipline. Determine whether you’re dealing with a value stock, as recommended by our Cabot Benjamin Graham Value Investor or Cabot Undervalued Stock Advisor, or a growth stock, as recommended by Cabot Growth Investor, Cabot Top Ten Trader or Cabot Emerging Markets Investor. If it’s a growth stock, buy only if the stock’s main trend is still positive. If the news is good but the stock’s behavior is not, trust the stock. Remember that the stock market is always looking ahead, and that your best guide to the company’s future news is what the stock itself is doing today. In healthy bull markets, remain heavily invested, remembering, again, to ignore the news. In bear markets, hold a large cash position, remembering that capital preservation is goal #1. And remember that bull markets always begin when the economic news is lousy, and bear markets always start when the news is good. Again, the market is looking ahead. So learn to trust stock charts. d) When your loss exceeds 20% in bull markets and 15% in bear markets. With value stocks, diversification is highly recommended. Because the timing of their advances is unpredictable, holding dozens of value stocks means the average value of your holdings will appreciate over time. Contrarily, with growth stocks, concentration is advised. Five growth stocks can be plenty, particularly if they are in different industries, while 12 growth stocks is probably the maximum you should contemplate. Lastly, don’t fall in love with your stocks, regardless of how big your profit or how well you think you know the company. 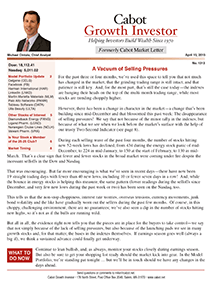 To learn more about how to invest, you can subscribe to our FREE daily email newsletter, Cabot Wealth Advisory. Income investing is fundamentally different from investing for capital appreciation. There are several advantages to income investing. For one, your income stream is reliable, and not price-dependent. The best income-generating investments keep paying investors to own them regardless of what’s happening to their stock price. Second, if you invest right, your income stream can actually grow ... sometimes while your portfolio is growing too! If you’re selling assets whenever you need cash, your portfolio will shrink over time. But if you own investments with growing income streams and rising prices, your income and your portfolio value can both increase over time. Lastly, income investments’ reliable returns make them less volatile than the market. A recent study found that U.S. stock funds with yields over 2% (meaning they hold mostly dividend stocks) had an average three-year annualized standard deviation (a measure of volatility) of three percentage points less than stock funds yielding less than 2%. In addition, many income investments actually become more popular when the market is weak, so they can be great buy-and-hold assets for investors who don’t want to have to trade a lot. So You Think Income Investing is Right for You? The first step to income investing is to consider your income needs or wants, and your risk tolerance. There are some income investments that return as much as 10% of your investment as income each year—but they’re generally going to be much higher risk than an investment that returns 2% or 3% each year. That amount—the percentage of your investment that is returned as income each year—is called yield. If you’re looking at a dividend-paying stock and see that it has a 3% yield, that means that at the current dividend rate, an investor who puts $1,000 in that stock will get paid $30, or 3% of his investment, each year in dividends. Those dividends are on top of any price appreciation from the stock, and don’t reduce the amount of your original investment. The investment is just paying you to own it. When you’re considering buying a new investment, you will use the current indicated annual dividend amount (how much the company has declared it will pay in dividends that year) and the current price in that calculation. That will tell you what percentage of your investment you’ll receive as income each year, as long as the company maintains its current dividend rate. This number is widely available on many quote services. The other part of the equation is risk. Obviously, you’d like to maximize your income, but simply buying all the highest-yielding investments you can find is a sure recipe for disaster. For one thing, there aren’t that many (about 100 stocks in the S&P 1500 currently yield over 4%.) And you don’t want to buy subpar stocks just for the yield—if the company is struggling, it won’t be able to maintain that yield for long. So with income investing, you need to balance yield against the other factors that matter to you in your investments: things like volatility, diversification, capital appreciation potential and income growth potential. Luckily, there are a wide variety of different investments that pay you to own them, so every investor should be able to create a mix of holdings that fulfill both their income needs and other criteria. There are a variety of income investment types, including dividend stocks, real estate investment trusts (REITs), master limited partnerships (MLPs), business development companies (BDCs) and bonds. Regardless of which income-generating vehicle you choose, income investing is a way to minimize your risk and protect your portfolio against huge losses. It’s a way to fortify yourself against market volatility and the wild share-price fluctuations it brings. 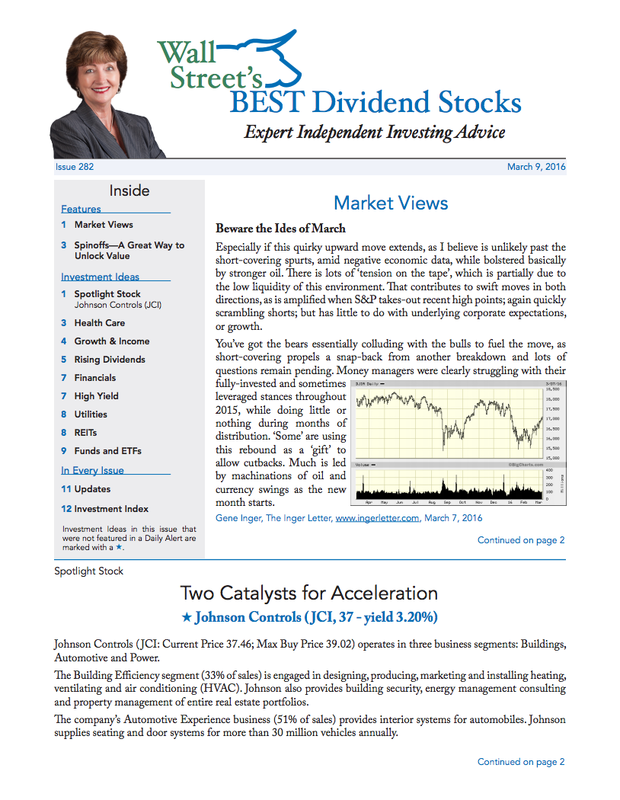 To help guide you in your income investing, we offer Cabot Dividend Investor, a service that has beaten the S&P 500 since its inception in February 2014, featuring stocks and bonds that boast an average yield of 2.9%. 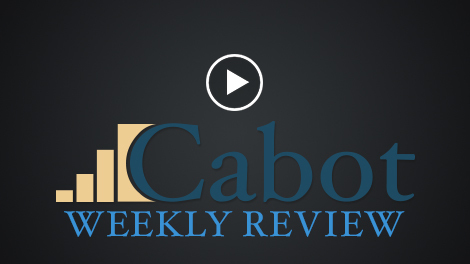 To subscribe to Cabot Dividend Investor, click here. The first—and perhaps biggest—challenge of options trading is understanding what an option is. An option is a contract giving you the right, but not the obligation, to buy or sell a specific security at a specific price over a specific period of time. After that period of time has elapsed (known as “expiration day”), the option ceases to exist. Call options give you the right to buy the security. Put options give you the right to sell the security. There are numerous types of options trades. Depending on which method you choose, options trading can be used to hedge a portfolio, create yield or gain significant market exposure and returns with little capital risk. Options Premium: This is also known as the options “price.” The potential loss for the holder of an option is limited to the premium paid for the contract. On the other hand, the initial premium can offset the potential loss for the seller of the option. Time Decay: All options are wasting assets whose time value erodes by expiration—and that erosion is called “time decay.” The more time remaining until expiration day, the higher the premium will be. That’s because the longer an option’s lifetime, the greater the possibility that the underlying share price will move to make the option in-the-money. Implied Volatility: If the market becomes volatile, or if volatility is expected, implied volatility will rise, thereby increasing options prices. Conversely, low market volatility lowers options prices. 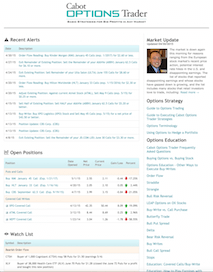 The Chicago Board of Options Exchange Volatility Index (VIX)—a.k.a. the investor “fear gauge”—is the best way to measure near-term volatility in the S&P 500. It represents the market’s volatility expectations over the next 30 days. Still confused? Let our options expert Jacob Mintz explain more about options basics, and his own personal options strategies. 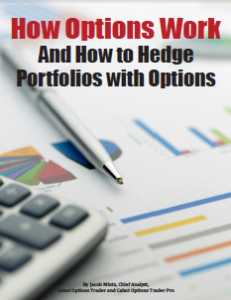 Jacob runs two options services for Cabot Investing Advice: Cabot Options Trader, catered to options beginners, and Cabot Options Trader Pro, for more experienced options traders. Jacob carefully assesses the risk and reward of each one of his options trades. When he buys options, he risks pennies to make dollars. When he sells options, he does so with very defined risk to avoid big losses. Sometimes Jacob uses conservative options strategies to hit singles; other times he uses more aggressive strategies to try to hit home runs. There is great mystery that surrounds options trading. Some investors avoid it altogether because they think it’s too confusing or too risky. But understanding options is easier than you think. And once you get the hang of options trading, the risks can be easily minimized. 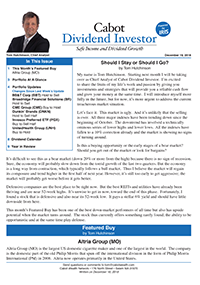 If done right, options trading can be simple and—more importantly—lucrative. Investing in small-cap stocks is a good way to earn huge returns. The smaller companies often have the most potential for growth. They also carry plenty of risk for investors. Anytime you buy shares of a small, little-known company, there are a bevy of unknowns. Some small-cap stocks are clinical-stage biotechs whose drugs have yet to be approved for commercial use. Others are chipmakers or cloud-computing companies that have plenty of promise but have been simply misunderstood by the market. It’s impossible to take the risk completely out of small-cap investing. But there are ways to minimize those risks without sacrificing potential profits. For starters, set up a clearly established set of rules ahead of time, and stick to them. Search for paradigm shifts in any field of business that requires a unique, new solution that will be provided by a stand-alone company. Then seek a niche supplier that will become an equal benefactor to that pioneering company. Invest only when the market opportunity is huge—and quantifiable. Only invest in small companies that serve large, burgeoning markets because you can realize tremendous growth with even small shares of the market. Get into a small-cap stock before institutional investors become aware of it. Sometimes it takes a while for the big hedge funds or mutual funds to discover small yet promising companies. Once they do, it quickly drives up the price. Invest in small caps that offer both growth and value. Look for relatively young companies with growing sales, yet is undervalued based on the company’s market potential versus its total market capitalization. A balance sheet with little to no debt is also a big plus. Invest at the right time in the product cycle. There is a direct correlation between the time of investment and the degree of risk and rate of return you can expect. The time period after venture capital investors come aboard is generally the most promising. Lastly, concentrate on the very best ideas. Look for industries that have hit a roadblock and need new technologies to keep growing. The small companies that provide those breakthrough technologies make for the best small-cap stocks. These rules won’t help you pick all winners. But they should give you a leg up in selecting the right small caps. They have certainly worked for Tyler in his years as a small-cap analyst. Between 2012 and September 2015 his small-cap recommendations generated cumulative returns of more than 2,300%, including both winners and losers, and outperformed the Russell 2000 Index by an average of 28% per year. 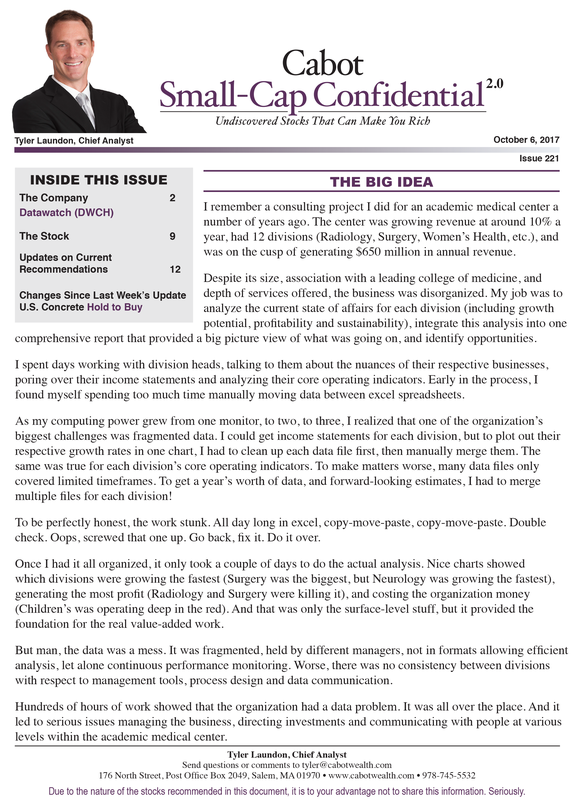 Tyler applies those winning philosophies as editor of our Cabot Small-Cap Confidential advisory. Searching for small-cap stocks can seem a bit overwhelming. In the Cabot Small-Cap Confidential advisory, Tyler does all the heavy lifting for you, identifying those hard-to-find small caps that can earn you the kind of triple-digit returns that can transform your portfolio. Investing in the stock market has always been an effective way to build wealth. In today’s low interest-rate, it has become a necessity. Since the Great Recession in 2008, the Federal Reserve has kept short-term interest rates—called the “federal funds rate”—at or near zero. That means the traditional ways of saving your money and watching it accrue—certificates of deposit, money-market accounts, Treasury bonds—are no longer viable. Investing in the stock market is one of the few viable ways to have your money work for you these days. Of course, stock market investing comes with more risk than a safe, low-yield savings account. Inevitably, not all of your investments will be winners. In investing, no one really knows for sure what’s going to happen. Over time, however, stocks tend to rise. History tells us this. Since 1928, the average annual return in the S&P 500, the benchmark U.S. stock index, is 11.5%. So historically, the average stock rises 11.5% per year. Successful investing is largely dependent on market timing. You can’t just buy any stock and assume it will turn a profit, much less return 11.5%. You have to buy the right stocks at the right time. For example, if you bought stocks in 2011 and sold them at the end of the year, you probably didn’t fare so well. The S&P 500 was essentially flat that year. However, if you bought stocks at the beginning of 2012 and held on to them through 2014, you probably made a lot of money. The average annual return from 2012 to 2014 was 20.5%. But, of course, your return would have depended on what stocks you actually bought. Take Apple (AAPL), for example. The largest and most recognizable technology company in the world has been perhaps the single best-performing stock of the past decade. But Apple had a rough stretch from September 2012 to June 2013, falling more than 43% at a time when most stocks were reaching record heights. The rising tide of the market doesn’t necessarily lift all boats—even the biggest boat. That kind of unpredictability scares some people away from investing in the stock market. The track record over time should be enough to convince you otherwise. 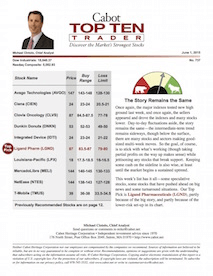 The stock market is a vast and ever-evolving place, and there are many ways to approach stock market investing. Want to invest in safe companies that offer a steady stream of income? You’re probably a dividend investor. Are you willing to take on a bit more risk to go after bigger, faster rewards? Growth investing is likely for you. Value investing is for investors who like to bargain shop. Options trading is for those who like to invest based on statistical probabilities. And so on. At Cabot Investing Advice, we have something for every investor. We publish 12 investment advisories that cater to various types of risk tolerances and timetables, depending on your preference. Since 1970, we’ve been helping investors of all experience levels achieve market-beating returns, helping our readers double their money 28 times over. When done right, investing in the stock market can be a hugely profitable endeavor. For nearly a half-century, we’ve been helping investors maximize those profits—and hope to continue doing so for another 50 years. To help you find the next Trinity, Roy Ward writes the Cabot Benjamin Graham Value Investor, a service for value investors. Roy is a second-generation disciple of Benjamin Graham. In 1969, Roy developed a computerized model of stock selection based on formulas created by Benjamin Graham, and since 2003, he's been spreading his wisdom far and wide as chief analyst of the Cabot Benjamin Graham Value Investor.